“The Burghound Phenomenon. Burgundy lends itself to obsessives, what with its hundreds of growers, thousands of named vineyards and maddening variations in vintages. The world’s foremost Burgundy expert – who, thankfully, is also in possession of an acute palate – is Los Angeles-based Allen Meadows… No Burgundy lover leaves home for the retail shop without a copy.” – Matt Kramer, Diversion Magazine. Southeast Asia – the most exciting and fast-evolving wine consumer market in the world with exponential growth far-outpacing the current trends in traditional markets. Singapore – The World’s busiest Port and in actuality, the most important centrally located wine hub in Southeast Asia in close proximity to the ASEAN countries, equally servicing South Asia as well as Australasian region, and cohesively interlinked with Hong Kong and Mainland China. A great destination – Singapore is the 4th most visited city in the world with a forecasted 13 million visitors in 2011 and attracts consumers from all over the globe. Pinot Noir the red grape variety for Asia – compatibility with cuisines and climate – notoriously capricious variety of intrigue, complexity and finite quantity equals true rarity and consumer/wine enthusiast demand… And not just Burgundy , but all pinot noir producing countries and regions. Allen Meadows is the guest presenter at the annual charity event and auction for Room to Read – Singapore. 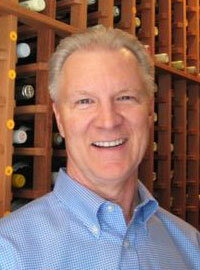 Allen Meadows presents verticals from two outstanding burgundy producers (white and red) paired to Asian cuisine. A fun and enlightening evening exploring the diversity of pinot noir with all wines served blind – interfacing with the pre-dinner tasting wines – along with other producers – all paired to Chinese cuisine. Champagne and Sparkling Dim Sum Brunch – A relaxed yet enlightening lunch pairing pinot noir and chardonnay cuvees from Champagne and sparkling wines from around the world. We invite Chardonnay, Pinot Noir, Pinot Meunier and Gamay Noir producers, both still and sparkling wines from all over the world to participate in this event. The walk-about main tasting will run from 9am to 5pm with an expected 1000 plus attendees. Our venue, the The St. Regis Singapore Hotel, is spacious and functional with adjoining rooms for master classes. As with our highly successful Robert Parker event, this is a proven and prestigious platform for engaging a sophisticated market of wine consumers and enthusiasts. Participating wineries are invited to submit expressions of interest to host master classes conducted by the winemaker/proprietor/marketing person. Ideally this would be vertical tastings with a significant depth of rare back vintages although regional, varietal/style tastings and comparatives also relevant. The layout for the walk-about tasting will be by country/region/sub-region and promote the concept of ‘terroir’ or ‘a sense of place’ and regional/individual characteristics. Whilst participation is undertaken on an individual winery basis, we are encouraging collaboration between regional vineyard associations and wineries cooperating together in terms of physical attendance and manning allocated space. 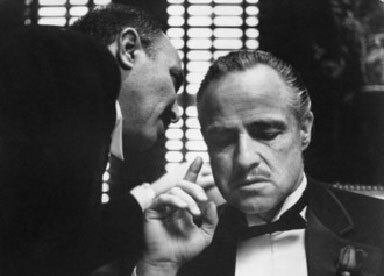 You tell them there is no cabernet sauvignon in the room, I hate raw tannin. Its chardonnay, pinot noir, Beaujolais and Champagne – capisce. Pre-Event Press Tasting: You are invited to submit wines for a professional tasting held mid-February, 2011, chaired by Curtis Marsh (The Wandering Palate) with a panel of Asia-based wine writers, sommeliers and international guest wine writers and professionals. There are two classes to enter – current vintage and wines with 5 to 10 years bottle age – limited to one wine in each category: sparkling, white or red wine. Preferred wines will be reviewed in a special feature published on The Wandering Palate and Asia Sentinel. We encourage entries in the in the older vintage class as this is both topical and indicative of quality. Successful wines in the Pre-Event tasting will be shortlisted for a Burghound Asia Symphony mixed dozen, also educative tasting-packs comprising country/regional/appellation flights and will be promoted throughout Asia under Hermitage Wine and the Wandering Palate. A finance executive for 25 years, in 1999 Allen Meadows elected to retire to author a book on the subject of Burgundy, his long time passion and obsession. The book project evolved to become an extensive quarterly review, Burghound.com. Initially devoted exclusively to the coverage of the wines of Burgundy, subsequently U. S. pinot noir and bi-annual coverage of Champagne was added to what is now the most highly respected and critically acclaimed quarterly publication with subscribers in more than 50 countries. Hailed as “the world’s foremost Burgundy expert” by acclaimed author Matt Kramer, Meadows spends more than four months a year in Burgundy and visiting over 300 Domaines building a searchable database of more than 50,000 tasting notes and recommended drinking windows. 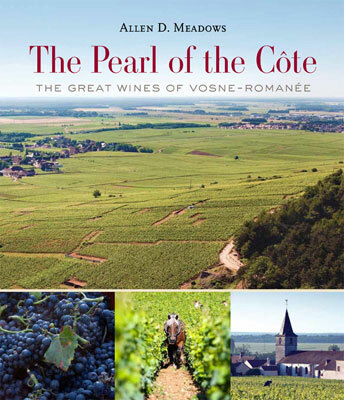 Released in July 2010, Allen Meadow’s first published book is a 350-page expedition through Vosne-Romanée, the legendary region aptly referred to as “the Pearl of the Côte”. Meadows guides the reader through each of the grands and premier crus, with a rich and fascinating historical coverage and detail, even Burgundy novices will reap pivotal knowledge. This beautifully crafted masterpiece includes original and detailed maps of the vineyards as well as vividly artistic photographs that make one feel as if he or she is walking through the vineyards alongside the author. Having first met Allen Meadows in Hong Kong at the inaugural Acker, Merrall & Condit wine auction in 2008, continued correspondence and a persuasive dialogue on the bourgeoning Asia wine market and the insatiable thirst for wine knowledge, I am delighted that Allen Meadows has agreed to travel to Singapore to spread his unrivalled passion on pinot noir and chardonnay moreover, expound on his new book, ‘The Pearl of the Cote’, with a series of master classes and dinners. Knowing he is the busiest, hardest working palate and wine writer on this planet, we are indeed privileged to have him MC this exclusive and unprecedented event. In summary, this is the most significant and strategic wine event in Asia for 2011. Whilst applauding Allen Meadow’s dedication to burgundy, and his newly minted book, “The Pearl of the Cote”, it is essentially a celebration of chardonnay and pinot noir from all over the globe and an opportunity to showcase your wines in the most exciting and fast-developing wine market in the world. Our official media partner is SPH (Singapore Press Holdings) the main newspaper and press in Singapore, with our event media centred on the Business Times. These event is endorsed by the Singapore Tourism Board. Hermitage Wines has been successfully positioned on the Singapore market since 2004, through its expertise in wine broking, retail sales, and the hosting of fine wine tasting events. The company has established a reputation across the corporate sector in Singapore, particularly in banking, as a retailer of high-quality wines, events, and related services. Hermitage Wines host yearly large scale events attracting a guest list of fine wine drinkers and apparitional connoisseurs in Singapore and the broader Asia region. This vision and determination underpinned the unparalleled success of Hermitages ‘Ultimate Parker in Asia’ event in May, 2010. With over 100 participating wineries and some 1600 wine enthusiasts attending this 2 days event. Hermitage wines bring the best wine selections from around the world to satisfy our customers’ tastes and preferences, while broadening their palettes and expectations. Superbly located in the heart of prestigious downtown, the St. Regis is Singapore’s most eminent address, where unsurpassed luxury resides. A gleaming landmark of exquisite ambience, the hotel houses one of Asia’s finest private art collections. Allen Meadows is the guest presenter at the annual charity event for Room to Read – Singapore Chapter. SGD$100 from each winery participating in the Burghound walk-about tasting event and $10 from each attending guest will go to Room to Read.